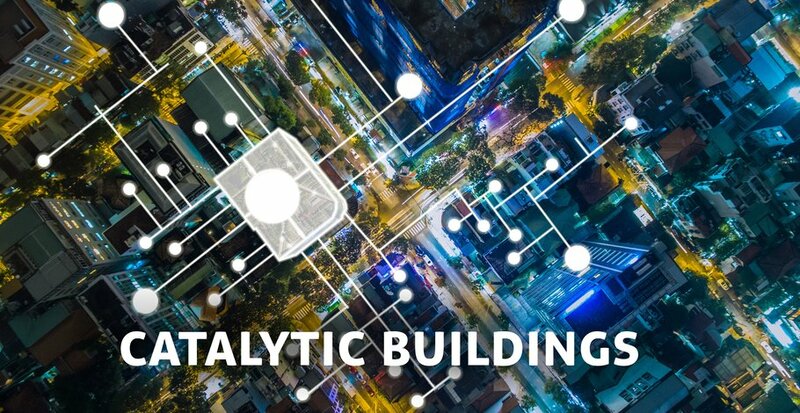 Catalytic buildings are next generation high performance buildings that boost the economic, social, and physical sustainability of entire urban areas. This approach can be applied to any function and program, and to both new construction and renovation. Their smart business models increase both long term value and short term revenue, and set a new standard in sustainable construction. We work on new concepts for catalytic buildings since 2005, including residential buildings, hotels, offices, and transport hubs. We provide all consulting and design services to realize these cutting edge urban transformers. Why do we need Catalytic Buildings? 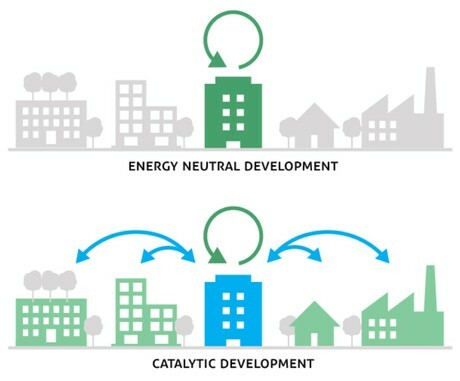 What are the advantages of Catalytic Buildings? What types of buildings can be made Catalytic? Why do we need to go beyond energy neutral buildings? We face the challenge of significantly increasing the sustainability performance of our cities. Most buildings in our cities have already been constructed. All these need to have their performance improved to meet our challenge. Local, national, and international focus on this challenge is at the forefront of policy, regulation, innovative real estate development, and design, in the form of energy neutral buildings. Responsible, sustainable buildings are also increasingly in demand with consumers, building occupants, and investors. The existing best practices in sustainable buildings are these energy neutral buildings. These are buildings that achieve the highest scores in sustainability performance labels such as LEED Platinum or BREEAM Outstanding. While these buildings minimize their own negative impact concerning energy, they do little for the rest of the city. Energy neutral buildings alone are therefore not enough. 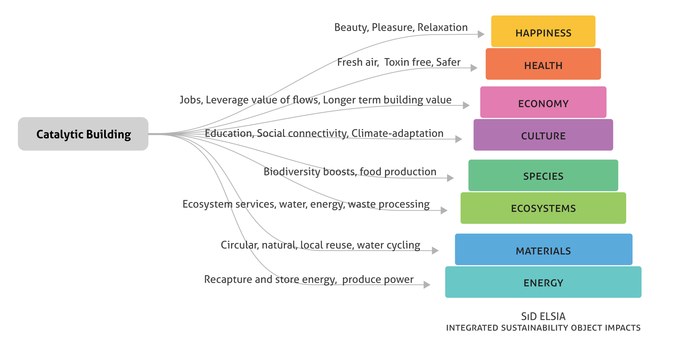 We need to step beyond this to face the challenge of sustainable cities. 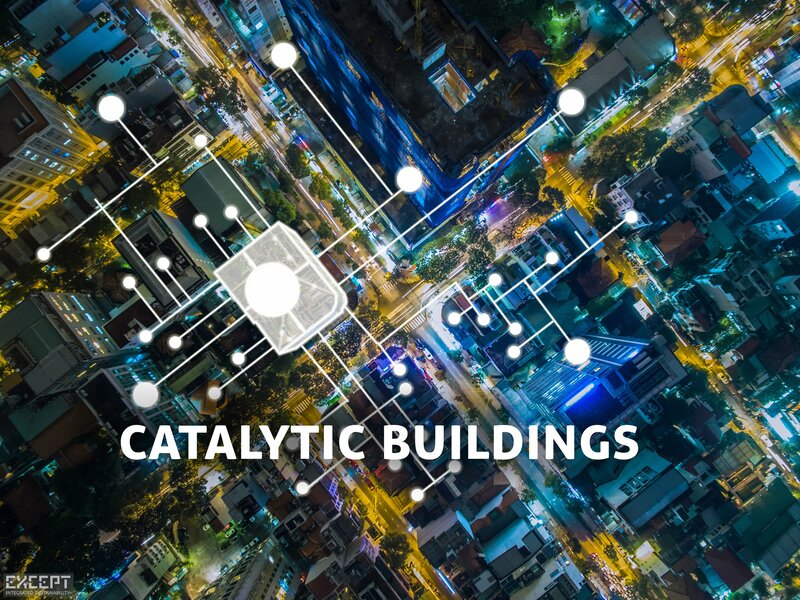 This is what Catalytic Buildings do: they are the next step in sustainable buildings, beyond energy neutral, energy positive and circular buildings. With Catalytic buildings, not just the buildings themselves are improved, but also their surroundings, helping to boost the sustainability of our cities, area by area. Profitably. Catalytic buildings give more than they take. They boost not just energy performance, but involve the full scope of sustainability challenges, including water, waste, materials, social program, economic development, and health. In this way, they boost the sustainability of whole city blocks, environmentally, socially, and economically, and generate long term investment value. 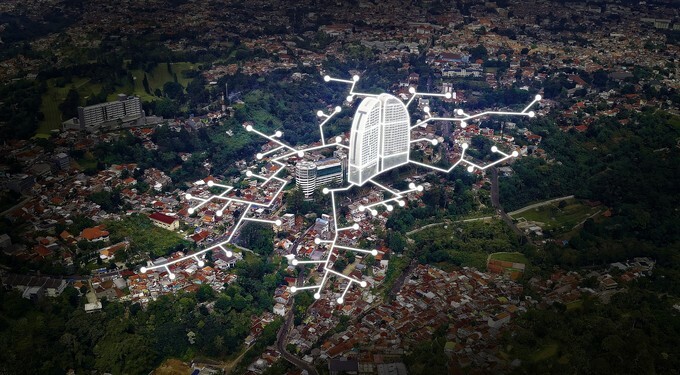 Catalytic buildings are designed to become a vital organ in the fabric of the surrounding city. They use smart sustainable technology and design to boost the performance of not only their own structure, but of a range of structures that surround them. They thrive on abundantly available resources in their direct surroundings, such as waste streams, and transform them to usable, valuable resources for their surroundings. For example, they take low grade waste heat from a local waste water system, upgrade and distribute this to provide heating for a housing block. Or, they provide biomass waste collection for a housing block and turn it into electricity, heat, and nutrients for a food garden on the roof, or a microbrewery inside a cosy local cafe. 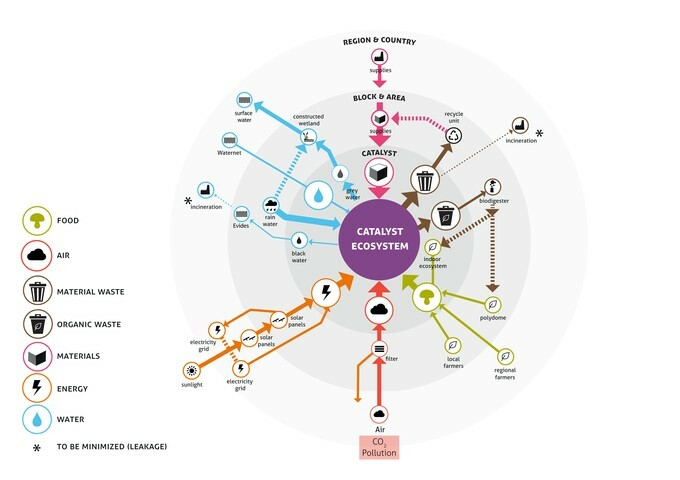 Catalytic buildings do this in a physical sense, but also in a social and economic sense, helping to become progressive engines of positive change for the area as a whole. For example, depending on the availability of vital social services in the neighborhood, they may provide functions such as a daycare center, social gathering space, library, or cultural program. This way, they reduce unnecessary transportation movements, energy use, air pollution, and noise impacts, and boost the vibrancy and diversity of whole areas. As a consequence, catalytic buildings significantly contribute to the urban challenge as a whole, not just for the building itself. They can improve mobility issues, food deserts and waste streams, air quality, upward social mobility, and provide opportunities for entrepreneurship, education and bottom-up innovation. Through their flexible nature, they are more resilient to changes in market and usage patterns, retaining their invesment value longer. They have lower operational costs due to lower resource use. They are healthier, and socially better connected, helping to increase and retain their value. They help increase the sustainability performance of the area they are in. They are the highest performing buildings available at the moment, supporting a significant PR and marketing benefit. 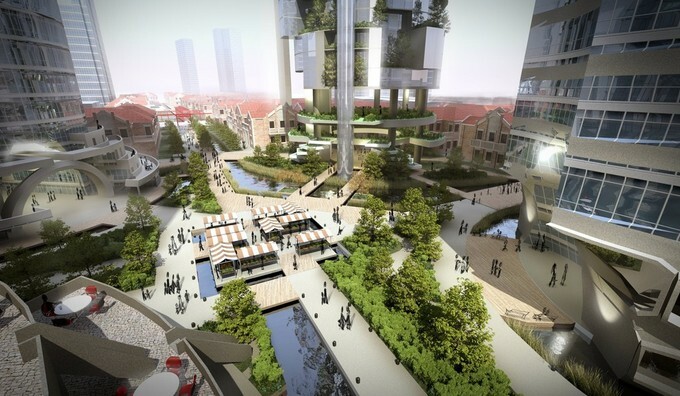 Vertical agriculture towers of the Shanghai Sustainable Masterplan feed the city with fresh food, purify river water for the community, and provide living, working, and cultural spaces. What buildings can be made Catalytic? Any building can become a catalytic building, and it can be applied to any building program. It can be applied to renovations as well as new construction, and it works best if they're made in an area within an urban fabric. At Except, we started developing the concept of Catalytic buildings in 2005, with our first urban activated building designs such as the Shanghai Vertical Garden towers. Since then, we’ve researched, designed, managed and helped execute a wide variety of Catalytic Building concepts, including hotels, apartment buildings, single and multi-tenant office buildings, and transportation hubs. We work closely with real estate developers, architects, engineering offices, and investors to plan the next generation of sustainable buildings. We support policy makers and municipalities in developing effective policy, regulation, tenders and design competitions. For more information on what we can do to help your project or organization realize Catalytic Buildings, contact Gertjan van Hardeveld at gertjan@except.nl.